“I am resigning from my position with the Miami Dolphins and accept full responsibility for my actions,” Dolphins’ offensive line coach Chris Foerster said in an official statement on Oct. 9, less than a day after a video of the coach snorting a white substance through a $20 bill was released on the Facebook by Las Vegas-based model Kijuana Nige. The Dolphins, who are currently last in their division at 2-2 and had already lost their starting quarterback in Ryan Tannehill before the start of the season, released a statement regarding Foerster’s. “We were made aware of the video late last night and have no tolerance for this behavior,” the team said. “After speaking with Chris this morning, he accepted full responsibility and we accepted his resignation effective immediately. Foerster had been an assistant coach in the National Football League (NFL) since 1992, serving as an offensive line coach for both the San Francisco 49ers and the Miami Dolphins. 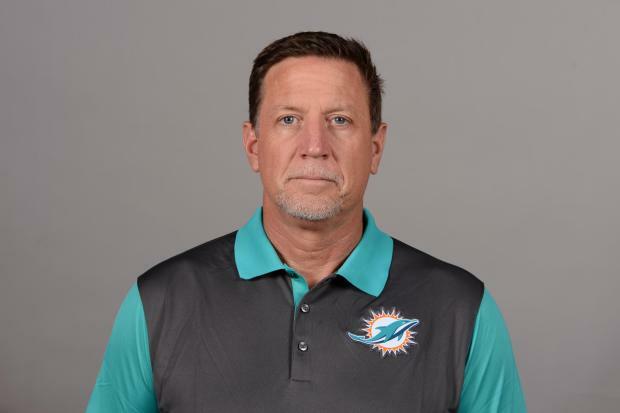 According to The Palm Beach Post, Los Angeles Chargers assistant offensive line coach Dave DeGuglielmo will return to the Dolphins to help fill the vacancy left by Foerster, although will not take the position of offensive line coach. DeGuglielmo had been Miami’s offensive line coach from 2009-11 before spending two seasons on the New England Patriots, and the Chargers staff last season. During DeGuglielmo’s last stay in Miami as the offensive line coach, the team ranked 17th, 21st and 22nd in total offense and allowed 44 sacks in 2009, 39 sacks in 2010 and 41 sacks in 2011. The person filling the offensive line coach position has not yet been detailed, though it is expected for either Chris Kuper—who had been Foerster’s assistant—or offensive coordinator Clyde Christensen to fill the role.